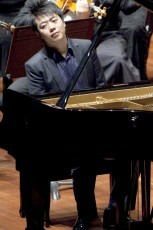 Founded in 1945, the "Septembre Musical" is one of the most prestigious classic music festivals in Europe. For this upcoming edition the organizer of the Festival is very pleased to present the colossal masterpiece of Arnold Schönberg "Die Gurrelieder", interpreted by the "Orchestre de la Suisse Romande" in association with the "Orchester der Tonhalle Zürich" and conducted by David Zinman. Other famous artists in Montreux: The London Royal Philharmonic Orchestra, conducted by Charles Dutoit, prestigeous solists like Grigory Sokolov, Pinchas Zukerman and Paul Badura-Skoda, in honour of Clara Haskil. The VIP LOUNGE BAR in the Auditorium Stravinski in Montreux is offering excellent conditions for your VIP incentives, a marvelous communication platform for demanding customers. 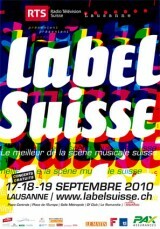 The mulitdisciplinarity of this festival of the arts and discovery is unique in the French part of Switzerland. For it's 39th edition, the "Festival de la cité" offers a wide range of the theater trends to the 100'000 spectators expected in the historic heart of Lausanne. Since 2007, GPS Performance SA is in charge of the development of the Sponsoring. Thanks to Verbier’s great late-season skiing, the Verbier High Five by Carlsberg has celebrated the closing of ski racing season for the last 11 years.